APPORO （Japan Today　May. 21, 2016） — The Sapporo High Court on Friday ordered the Nippon Ham Fighters professional baseball team to pay about 33.57 million yen in damages to a female spectator who lost sight in her right eye after being hit by a foul ball. The high court slashed the total amount of compensation ordered in a lower court ruling against the team and two other parties. The appeals court dismissed damages claims against Sapporo Dome Co. and the Sapporo city government. The woman sued the three parties for failing to take measures to protect her from being hit by the foul ball, which resulted in a right facial fracture and right eyeball rupture, when she was watching a game fought between the Nippon Ham Fighters and Seibu Lions with her husband and three children at the dome in Hokkaido on Aug. 21, 2010. Presiding Judge Michiaki Sato said that the court “cannot determine that the Nippon Ham Fighters fulfilled its safety obligations,” upholding the lower court’s ruling that the team is liable for damages. 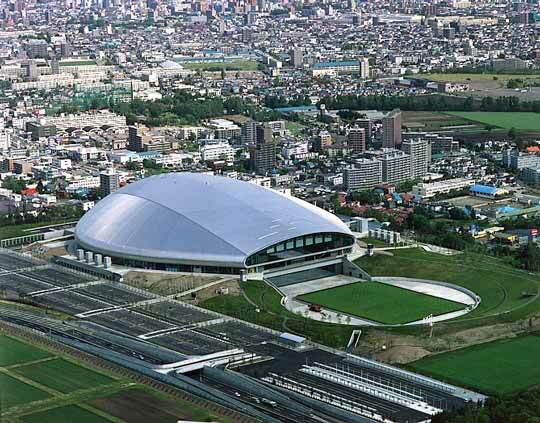 In the Sapporo District Court’s ruling in March last year, the Nippon Ham Fighters, Sapporo Dome and Sapporo city, which owns the dome, were ordered to pay about 41.90 million yen in total, but the three defendants appealed the verdict. The lower court said the stadium equipment fell short of preventing danger as there were no nets to protect spectators from foul balls over a 2.9-meter fence set up in front of the infield stand where the plaintiff was seated. The team argued that spectators could avoid foul balls by paying attention. But the lower court dismissed the claim, saying that calling attention to foul balls by using large television panels was not sufficient and it could not accept the current status of the dome simply because its equipment is similar to that of other baseball fields.